Bromsgrove has a long history of providing outstanding education in the surroundings of one of Britain’s finest independent schools. It is in this vein that the International Summer School will establish itself as one of the finest and most highly successful residential summer schools, attracting students from all over the world. Our English and Activity programmes for students aged 8-17 will share one common aim: to provide young people with the opportunity to learn English, develop their social skills, improve their cultural awareness and most of all have fun, all while studying at Bromsgrove: a truly British way of life. Bromsgrove International Summer School will continue to grow and evolve, and we will learn as much from our young people as they will from us, but we will always promise to provide educational, culturally-enriching and memorable summer courses for our students. Being part of the Summer School international community means meeting new friends from all over the world, taking part in British culture, hearing and speaking English all day, learning from qualified teachers, taking part in sports, activities and clubs, going on excursions and being cared for by dedicated staff 24 hours a day. 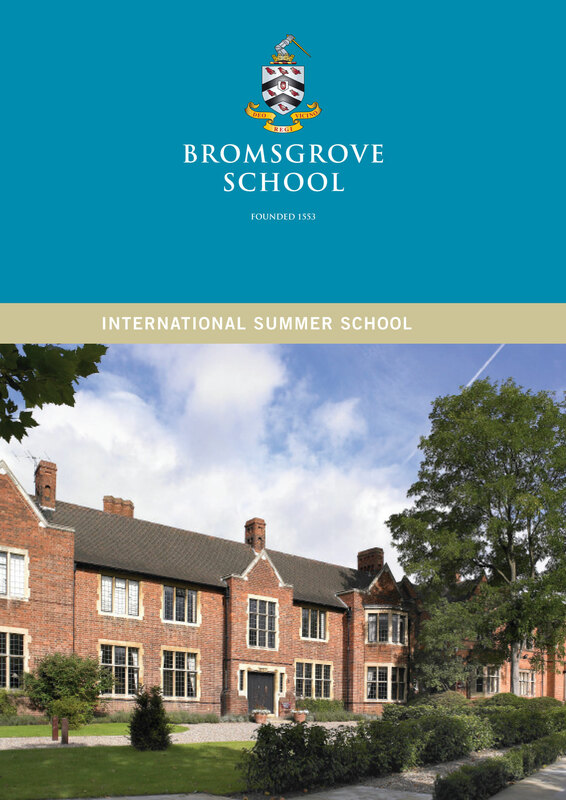 We genuinely look forward to welcoming you to the special and unique community that is Bromsgrove International Summer School. Bromsgrove has a long and illustrious history with providing a safe and friendly educational environment for British and international pupils alike. One of the UK’s oldest independent Schools (founded 1553), Bromsgrove offers Summer School participants the chance to form friendships for life. Situated just 30 minutes drive from the UK’s “second city” Birmingham, Bromsgrove School is set within its own 100 acres of grounds. We are centrally located for international travel to/from Birmingham International (30 minutes drive) and Heathrow Airports (1 hour 40 minutes drive) and close to local and national rail and road links. Our International Summer School is unique in its pricing structure because your fees will include everything you need for your stay at Bromsgrove, as well as all airport transfers to AND from Birmingham or Heathrow with only small supplements for other regional airports such as Gatwick, Stansted, Luton etc, (please refer to the dates and fees page for more detailed pricing). All of our staff are suitably qualified, with the added advantage of the EAL teachers recruited and vetted by International House Bristol. Bromsgrove has its own on-site Health Centre with qualified nurses on-call round the clock and a Doctor available when needed. With world class education and sporting facilities and its own residential, sports and pastoral staff, Bromsgrove International Summer School aims to provide the best possible experience for its students. Bromsgrove also benefits from HTS (Highly Trusted Status) from the UK Border Agency so we can help with any visa requirements at no extra cost.